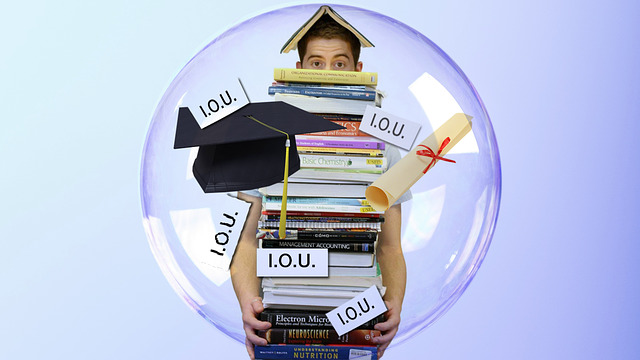 In the past twenty years, student debt has become a major social and political issue in our country. As government guaranteed student loans became more widely available, colleges began to raise their tuition rates to keep pace with the expansion boom that ready government financing created. More students required more professors and facilities to accommodate their needs, and colleges needed more money to pay for the growth. The result, of course, is that students borrowed more and more money to pay inflated tuition and fees and subsequently became burdened with overwhelming debt. Social service professionals, like school teachers, have always been notoriously underpaid because the essential service they provide does not produce a profit but rather is an expense society bears reluctantly. This emotional bias has always put downward pressure on salaries across the social services profession. The irony is, however, that working in the field ultimately requires a master’s degree. When combined with undergraduate debt, many social workers start their careers with up to $60,000 in student loan debt. And with a starting salary average of just $31,000, many social workers entering the profession simply cannot meet their student debt obligations. The median annual Social Worker (BSW) salary in United States is $55,779, as of July 31, 2018, with a range usually between $49,347–$62,521. Without the burden of student debt, this salary range might be considered modest but reasonable. However, pile on a $60,000 debt burden and the situation quickly becomes untenable. Young social workers leave the profession in droves. Those that love the work and choose to stay often have to take second jobs to meet their normal living expenses. This has a profound effect on their job effectiveness and is often the major cause of early “burnout”. The state needs well-educated social service professionals and will loan them the money to get trained, but when they go to work, is reluctant to pay them enough to repay the loans. Thankfully, both federal and state authorities have recognized the Catch 22 above and have made arrangements to help social service professionals organize their finances more effectively. However, most of the available programs to help social workers repay student debt are not well advertised and many of our colleagues are unaware that they perhaps qualify. Below is a brief summary of programs that are designed to help young social workers repay excessive student debt. This program, authorized through the College Cost Reduction and Access Act of 2007, allows employees of non-profits and government agencies to have your remaining loan balance forgiven tax-free after 10 years of making on-time "qualified payments". If you're employed as a social worker, your employer likely falls into an eligible category. Because the program only applies to Direct Loans, if you have other types of federal loans, such as FFEL or Stafford loans, you should explore the option of qualifying for an income driven repayment plan. If you have federal student loans, you may qualify for an income-driven repayment (IDR) plan. If your income is low enough, you may even qualify for a monthly payment of $0, while still counting as a qualifying payment for PSLF. Income-based repayment: Your payments are limited to 10% of your discretionary income. Income-contingent repayment: You pay either 20% of your income or what your monthly bill would be if your loan term was 12 years, whichever is less. Pay as you earn: The government sets your payments at 10% of your discretionary income, but your payment never exceeds what it would be under a Standard Repayment Plan. Revised pay as you earn: Under this plan, you only pay 10% of your discretionary income, whatever that may be, as long as your employed in government social services or related nonprofit. As a social worker, an IDR plan can significantly reduce your monthly bill, freeing up cash each month for other essentials like rent or health insurance. Social workers who choose a career working with a child or family services agency can get up to 100% of their loans discharged. You must be providing aid to children in low-income communities. Unlike PSLF, where you have to wait 10 years, the government will discharge a portion of your Perkins Loans each year. There are many more loan modification and forgiveness programs for social workers administered by individual states. Be aggressive researching all these programs. Unfortunately, the programs do not reach out to you. You must reach out to them.